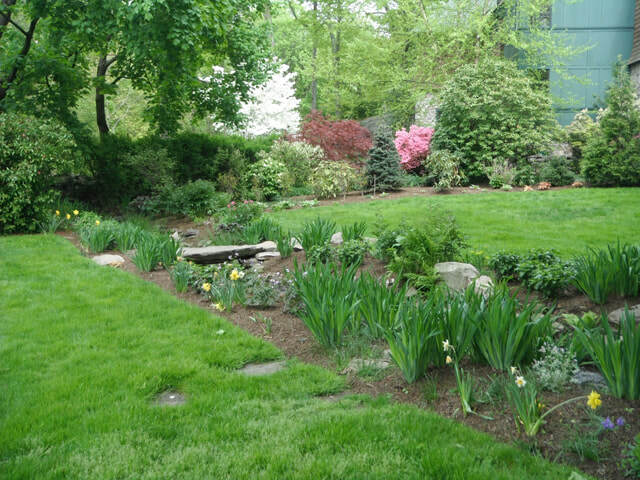 We loved working on this Garden Design in Westport, CT. Conceptual and detailed design including the construction of a natural stone bridge and antique stone steps over a babbling brook. The bridge integrates the wetland areas into the extensive flower beds and borders. The brook and associated wetlands led the way in the planting palette, resulting in intense and naturalistic drifts of perennials flowers with a back drop of mixed evergreen trees and shrubs, with stunning effect in early summer and fall. The design intent for this small property was to construct the garden to make the garden appear larger than it is. Through space planning, creating layers, planting a skyline and defining a vista, the property appears to have grown. 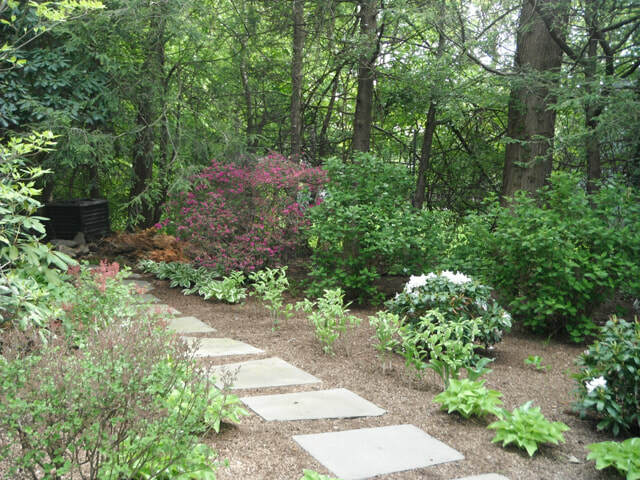 Garden design is a truly unique skill set that our Landscape Designer possesses. 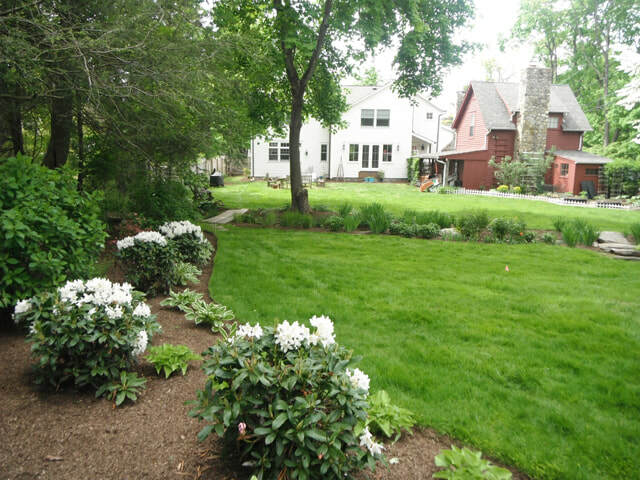 There's many "Landscape Designers" scattered throughout Fairfield County. Many of those designers have prestigious degrees and a vast horticultural background. 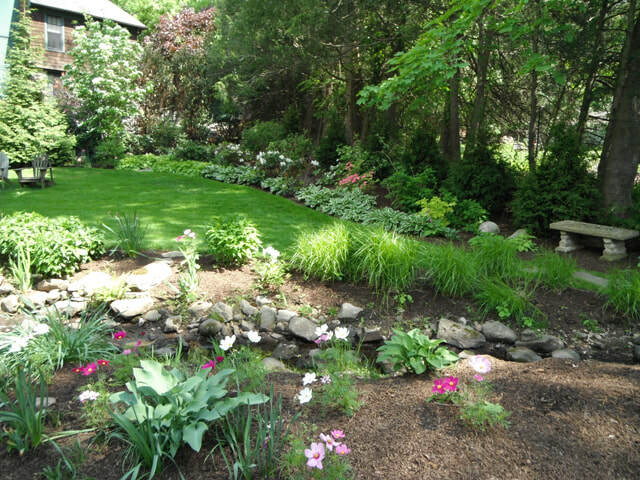 Brid Craddock, our Landscape Designer is actually a Connecticut Master Gardener and is the president of the Connecticut Chapter of the Association for Professional Landscape Designers. 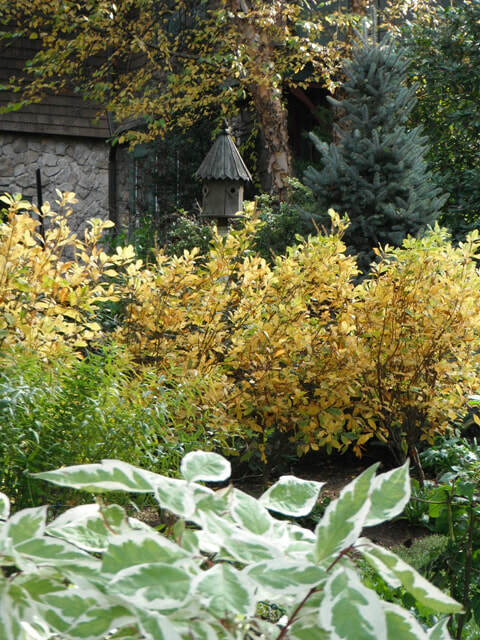 Her experience is what sets our Westport Garden Design team apart from the rest of the crowd. She's an excellent communicator who works well with homeowners who have a hard time taking their landscape ideas and transforming those ideas into reality. Meet with Brid by filling out the form below.